While corporations have intensified the focus on traveler satisfaction in managed travel programs, savings...Register Now! We all know that spend transparency and supplier negotiation strategies are important. With advancements in data...Register Now! With the tightest labor market in decades, job candidates and current employees are more closely scrutinizing...Register Now! The 8th Annual Business Travel Trends & Forecasts Atlanta is a one-day, buyer-only conference designed to unite corporate travel professionals...Register Now! 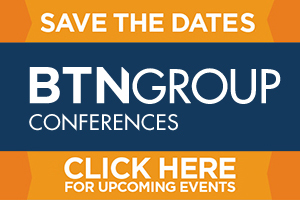 The BTN Group's 5th annual Strategic Meetings Summit New York unites the top corporate decision makers focused on strategic meetings...Register Now! The 5th Annual Business Travel Trends & Forecasts Seattle is a one-day, buyer-only conferences designed to unite corporate travel...Save the Date! Brought to you by The BTN Group and HospitalityLawyer.com, the 3rd Annual Global Travel Risk Summit London is a one-day, buyer-focused...Register Now! 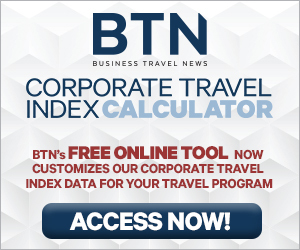 The Beat Research: The Year in Corporate Travel TechnologyDownload Now! The Beat Research: Today’s Corporate Travel AgentDownload Now! Beat Research Report: TMC Investment PrioritiesDownload Now!